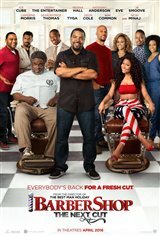 Calvin (Ice Cube) and his barbershop crew has gone co-ed by employing new stylists such as Draya (Nicki Minaj). 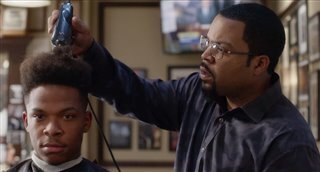 The team at Calvin's Barbershop enjoy working at a place known for giving customers not only a haircut or a new style, but for treating them like family. When their neighborhood takes a turn for the worse with gunfire being exchanged right outside on the street, they decide to turn the shop into a safe place by offering free services in an effort to stop the violence.